A few years ago, I would never have thought there’d be a time when I’d find the topic of grocery shopping even remotely interesting, but these days it seems I can talk for hours on the subject. Food and cooking have become major aspects of my life, which means by default that shopping has too. It’s intriguing to me that people tackle this task so differently. I’m endlessly curious about where people shop for food, when and how often. Do they fill their baskets online or in store? Are they loyal to one of the big supermarkets or do they try instead to support high street independents? How much do people spend, do they plan meals in advance and write shopping lists, or do they purchase on a whim or according to what looks good or is on offer? 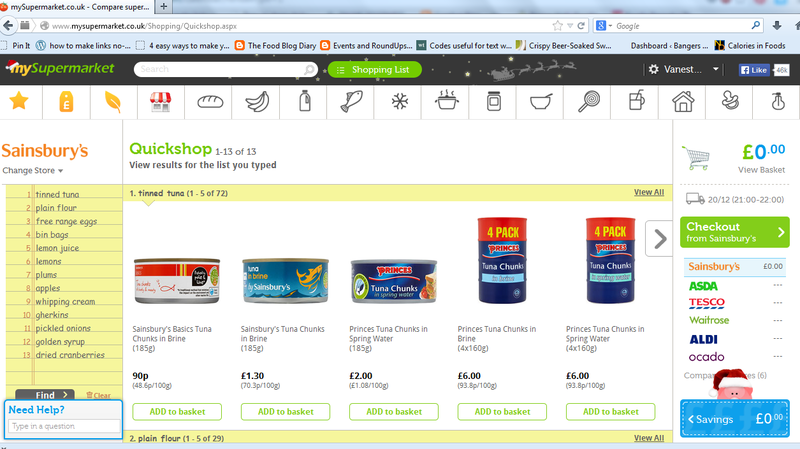 I was asked recently by mySupermarket if I’d give their website a whirl to do my grocery shop. I had thought about giving them a try several times over the last year or so but to be honest I’d just never got around to it. I’d fallen into a routine that worked for me, and it was never the right time to try something new. So when I was asked to review what mySupermarket has to offer, I was interested in seeing if it would be enough to make me change my routine, and this seemed like a good excuse to ask others about their shopping routines. So I posed a few questions on Twitter the other night. It would appear there are others out there who like talking about shopping as much as me. Becky at The Ar-Blog does her grocery shop online “every week and a half ish”. She plans all the family’s meals and comes up with a shopping list for ingredients, after checking what they already have in the cupboard. “Plus we always have £5 for treats or posh nosh,” she adds. I do like that. But shopping online isn’t popular with everyone. Sian from Fishfingers for Tea always used to do her food shopping online but she now finds “going to Aldi saves us so much money that I struggle to justify doing it online now!” Sian shops once a week with “milk top ups in between.” While most of the groceries comes from Aldi, she doesn’t mind a bit of shopping around, either at the market or places like Home Bargains, when she knows she can get certain things cheaper. It sounds to me like Sian has got grocery shopping down to something of a fine art. She does her Aldi shop in about 20 minutes and the rest of her shopping takes no more than half an hour across the week. Of course, it probably helps that she produces a meal plan first, which takes around 45 minutes. When Michelle from Utterly Scrummy Food for Families took me through her shopping routine, it sounded uncannily similar to mine. “We shop weekly with Asda, we’ve got a delivery pass,” explains Michelle. “I’ve got the menu planning and online shopping down to 1 hour maximum. I always do a stock take first too, so I don’t over-buy and look at our schedule for the week – work, school stuff, meetings etc. I dump stuff in the basket midweek to secure a slot, then amend once I have planned.” Other than the fact I tend to use Ocado or Sainsbury’s, this could be a description of how I do my weekly shop. We all have our own ways of filling our cupboards and fridges with food, designed around all kinds of individual factors – from work and family to the fact that the shop on the other side of town has an amazing offer on pickled herring or our heads cave in if we are forced to spend more than five minutes in a supermarket with small children. But something that seems to unite most of us is cost. We are all looking to save money and pick up a bargain. The primary aim of the mySupermarket website is to help shoppers save both time and money by comparing prices from all the main supermarkets. There are three main ways people use the site: you can order your basket online, print your basket as a shopping list and take it with you to your local supermarket, or simply use it to compare different supermarket prices online. They’ve also launched a new mobile app, mySuperlist, which gives you another way to ‘shop on the go’. I don’t really know why I hadn’t thought of trying them before because, when I think about it, the whole concept fits beautifully with how I shop already. My routine is to do an online shop once a week, quite often with a glass of wine in hand, after first putting together a meal plan (I’m a huge advocate of the meal plan – take a look at my very first blog post), and after checking what supplies we already have in and what we’ve got coming up in the diary. I tend to switch between Ocado and Sainsbury’s. Why? Well, because I haven’t worked out which is cheaper, and because only Ocado offers certain products we like, while other things I can only get at Sainsbury’s. Ocado, for instance, sells the perfect kabanos sausages for hiding a tablet in to feed to the cat. Don’t ask. I was vaguely aware that mySupermarket allowed you to compare prices, but I assumed it would only really be helpful for comparing individual items. I didn’t fancy the idea of going to several different stores to get the cheapest deals on different products. It turns out the beauty of mySupermarket is it allows you to do an entire shop, all the while providing a running total of how much your basket would cost at both your chosen store and each of the others available in your area. The price comparison above was from our Christmas shop. I’d never spend this much normally, but it was to last us nearly a fortnight and there were a fair few luxury items in there. I was worried it would prove difficult learning my way around a new site, but I was pleased to find mySupermarket is extremely easy to use. 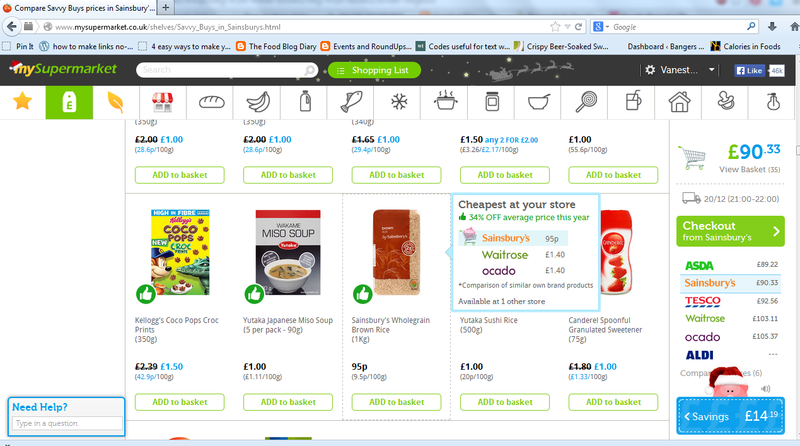 I started off by importing all my favourites from my Sainbury’s online account. Discovering I could do this was a huge relief, as I really couldn’t face the idea of starting over again from scratch. I then did my shopping as I usually would; first of all going through the things I needed for the meal plan I’d prepared for the Christmas and New Year period, and then going through my list of favourites for all the usual household items we get through, such as loo paper and washing up liquid. And all the time, the tally in the right sidebar was showing me the total cost at Sainsbury’s compared with the other stores. I found it quite exciting to see how the totals varied – the store in ‘first place’ switched frequently between Sainsbury’s and Asda. Ocado (my other usual online store) sat resolutely in bottom position pretty much from the start. The final difference between Sainsbury’s and Asda wasn’t huge, but I was shocked at the difference between Sainsbury’s and Ocado which was almost £30. I’m now not sure if those kabanos sausages are special enough to persuade me to do my entire shop there in future. The other element I was rather impressed by was the way in which mySupermarket suggests smart swaps and replacements while you shop to help you save even more money – either by trading down or buying more to make a bulk saving. Finding the best deals can take a lot of time and effort when you are shopping online normally, and so I found I used this function quite a bit. There were times though when I didn’t like the cheaper alternatives provided, generally when I was looking at meat for instance and the swap and save items would not be free range. But probably seven times out of ten, I went with the cheaper option and ended up saving a fair whack. I also liked the shopping list function. Rather than searching for items individually, one after the other, you can simply type in a long list – ideal when you’re going through the ingredients needed for your meal plan or a particular dish, and then mySupermarket searches for them all at once. ‘Savvy Buys’ is another useful offering from mySupermarket. This brings up any products that are more than 30% off their average price at that store. You’ll never find this kind of information promoted by individual supermarkets. Quite often I discovered they’re not actually promoted by the supermarket as special offers, so they would otherwise be incredibly easy to miss. All in all I was extremely impressed with mySupermarket. I successfully saved £34 on my first shop, which is definitely not a sum to be sniffed at. I have since shopped using mySupermarket again; the next time I saved £13 but this was a much smaller shop, and again Sainsbury’s came out cheapest and Ocado most expensive. The only slight issue I have with mySupermarket is that you must complete your full shop when you book a delivery slot. What I usually do, just like Michelle from Utterly Scrummy above, is to grab the slot I want and bung any old items in the basket to secure it. I then come back nearer to the delivery date, once I’ve prepared my meal plan, to do the shop properly. You can’t do this with mySupermarket at the moment, but when I mentioned this they said they’re aware that many people shop like this and their developers are working on ways to incorporate this functionality in the future. So that sounds promising. I plan on sticking with mySupermarket for my weekly online shop. It turns out that what they have to offer is enough to make me change my usual routine, but to be honest that really isn’t a massive change as it fits so neatly. I genuinely look forward to using mySupermarket so that I can continue to find the best deals easily and saving lots of lovely dosh. Have you used mySupermarket? 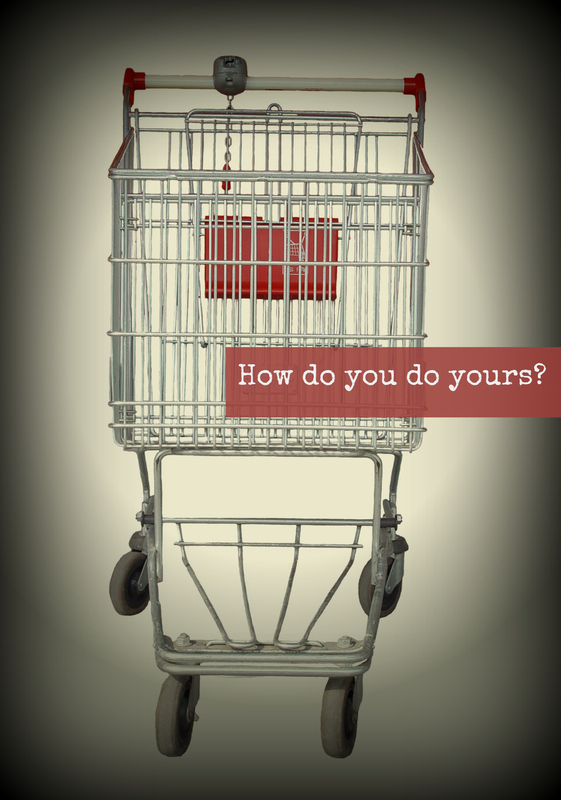 Has it saved you money on your grocery shopping? Disclosure: This is a sponsored post. mySupermarket paid £50 towards my first shop using their website in return for a review. All views expressed are completely my own and are 100% honest. Its interesting to know how people shop personally I like to go and shop my self as I like picking and choosing my own fruit and veg and also seeing what deals and offers they have from time to time. That is interesting. I have looked up the odd thing before, but didn’t realise it did that. I have compared before by filling online shopping baskets at 2 supermarkets at the same time and the cheapest wins. This is easier and quicker! I’d never thought of doing that before, Jac. But yes, I think mySupermarket might be a little easier than that! VERY interesting Vanesther and I although I do use online shopping now and then, I prefer to shop in person so to speak! Thanks Karen. Hopefully when I’m a successful writer and not working full-time, I’ll have much more time to shop ‘in person’ but for now online shopping is my saviour! I haven’t shopped online before, but definitely see the value in it, esp if you have youngsters! I love my food shop, it’s always on a Thursday as I’m in the city then, and if I have the time I scour the whole store looking out for new products and things I haven’t used before. That sounds like a wonderful way to shop, but yes – that approach isn’t so easy when you have little people around. Shopping isn’t one of their favourite pastimes! Really interesting article Vanesther. I have only used online shopping when I am having a party and expecting lots of people over. Otherwise, I prefer to shop in person and choose a mixture of supermarkets and independent shops. Some sell items better than the other. I just need to get better at meal planning and avoid waste, and save money. That is my goal for 2014. Thanks Tina – hope you give meal planning a try in 2014. It’s completely revolutionised my life and I’ve drastically reduced how much I spend and how much food we waste. Great post Vanesther and made for extremely interesting reading. I’m so random in my shopping and as yet have failed to get in any proper shopping routine since being back in the UK (only 5 months now!). But this is certainly something I’ve been meaning to address! I get my fruit & veggies from a local organic veg box company so rarely have to buy any of those. Use local markets whenever I happen to be around one, with the occasional trip to local butchers and food shops. The rest is extremely random, what ever supermarket takes my fancy (literally ALL of them bar Waitrose as this is the only one not near!) and I’ve made a few big shops online at Tesco. I think I win on the randomness! I am however going to start weekly meal planning, with the intention of an online shop following it, but I’ve been saying this for quite a while!!! I’ll definitely check out My Supermarket when I do. I love your randomness Lou! I do actually get a weekly veg box from Riverford which I completely failed to mention in the post, so I don’t get an awful lot of fresh produce online. Most of our meat comes from the local butcher too; I generally pop out for that in my lunch break at work. But for everything else, online is brilliant. Look forward to hearing how you get on with meal planning. I’ve been doing it for a couple of years now and we save so much money and have reduced our food waste enormously. Although I shop online for everything else, I love to visit a supermarket to browse new foodie products, so I guess that;s not likely to change – v. interesting tho’! You are right Carrie – there’s nothing like browsing in the shops to discover new products. That’s pretty tricky online. But I do love the online approach for all those regular basics that don’t really change from one week to another. Very interesting article. I do my shop as and when and I create my meals based on what food I find reduced/on offer at the supermarket I am closest to at the time and that works out much cheaper for me. That sounds like an ideal approach – I’d love to live that way! But with a full-time job and a family, I’ve discovered planning meals in advance is the only way I can keep sane! All very interesting and a little depressing. Hardly anyone seems to be using their local shops so no wonder the High Street is dying. I do most of our shopping in small independent shops and buy things such as oats, lentils and rice in bulk as it’s cheaper. I do buy some items at our local co-op and do venture into supermarkets occasionally, but try to avoid them if I can. Thanks for stopping by Choclette. In an ideal world, I’d love to shop that way too but there’s no way I could make it work. I work full time and at the weekends I’m keen to spend time with the kids and my husband (and cooking of course! ), so it’s hard to also fit in much time for browsing the local shops. I do buy our meat from the local butcher during my lunch breaks and we get a weekly veg box, and when we’re in town on a Saturday we’ll stop by the market, but on a regular basis it simply has to be the supermarket for us. I too have always toyed with the idea of using mysupermarket but never really to gte around to doing it , interesting to know how other people show ,save ,compare !